The Brando is located about 30 miles northeast of Tahiti on Tetiaroa, a ring-shaped reef, island, or chain of islands formed of coral called an atoll. 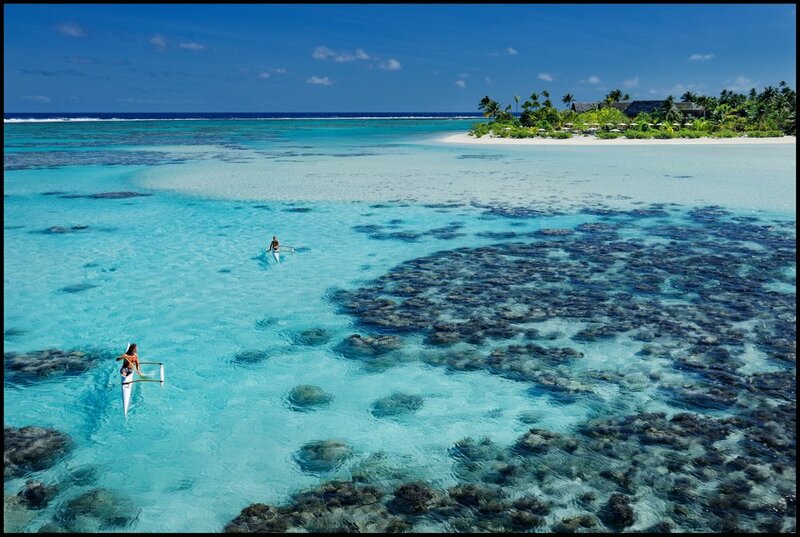 The Brando resort sits upon one of the 12 motus (islets) that surround the pristine inner lagoon of this atoll. Tetiaroa's lagoon is so bright it can be seen from space, the bright blue is clearly visible against the darker royal blue of the Pacific Ocean. Marlon Brando fell in love with Tetiaroa in 1960 when he was filming Mutiny on the Bounty on nearby Moorea. 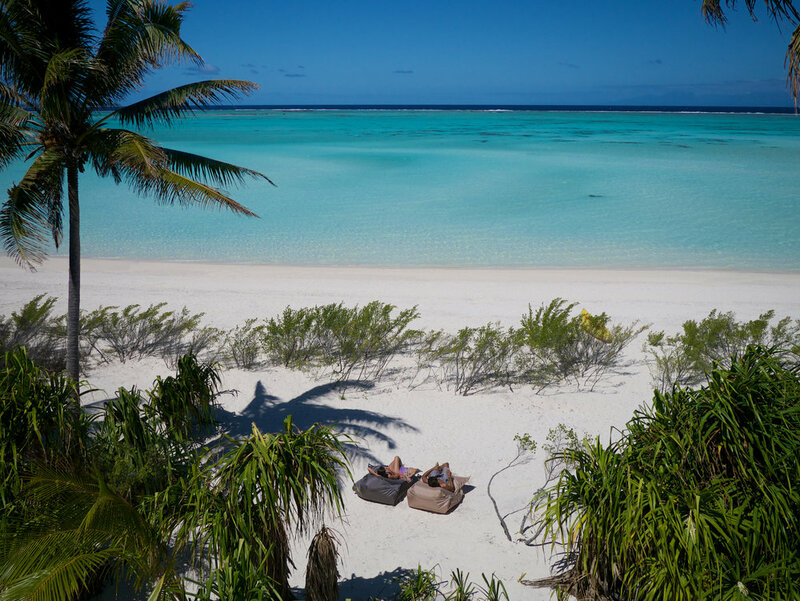 He purchased Tetiaroa in 1966 and spent many years enjoying it alone and with family and friends. Prior to Marlon Brando purchasing the private island it hosted Polynesian chiefs and other native royalty. 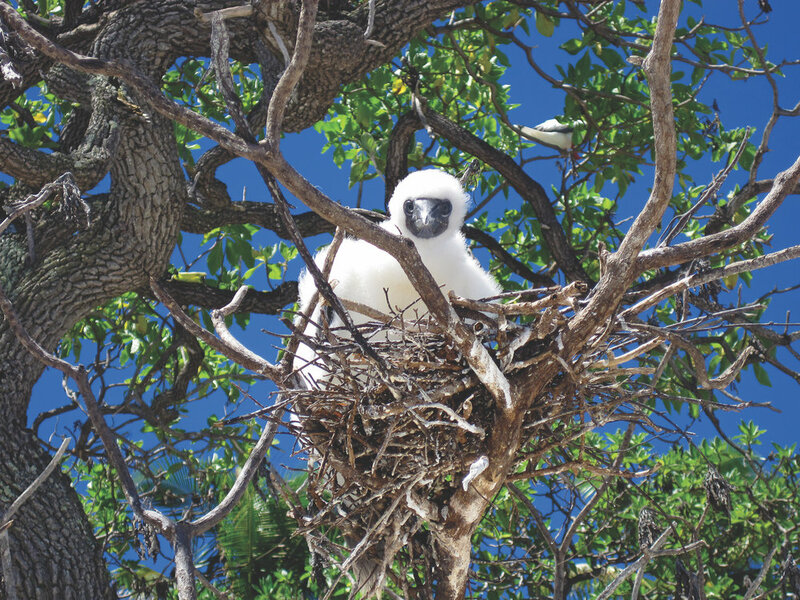 Brando's dream was to maintain the atoll in its purest form and allow others to enjoy it. He wanted Tetiaroa to be a place where untouched nature and Polynesian culture were protected and revered. Although he passed away in 2004 his dream is now a reality. 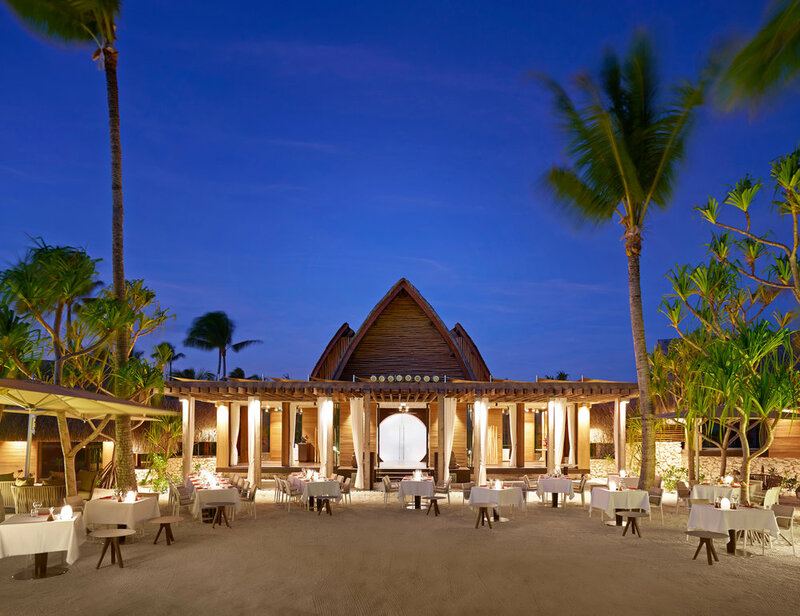 In July of 2014 The Brando opened its doors under the Pacific Beachcomber Group which also owns Paul Gauguin Cruises (click here for my cruise blog post which includes Paul Gauguin), 4 Intercontinental hotels, and 3 Le Maitai hotels all in French Polynesia. This resort is on the National Geographic list of Unique Lodges of the World. 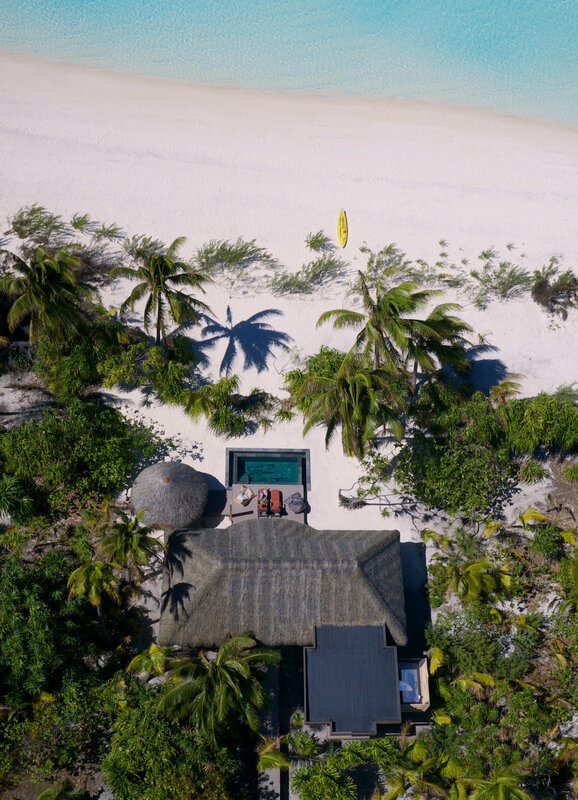 The Brando has been awarded LEED Platinum certification for its carbon neutrality, this is the ultimate environmental accolade. 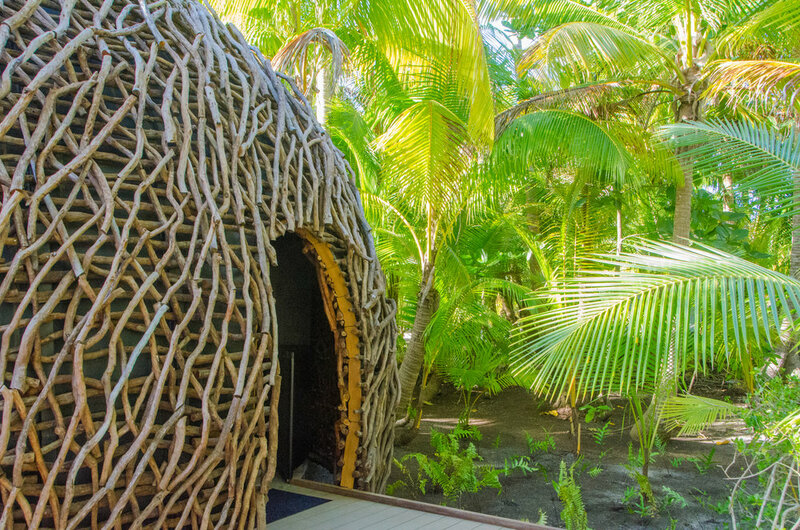 The Tetiaroa Society is integral to the resort's ultra green thumbprint. They actually have a unit below the ocean called a SWAC, Sea Water Air Conditioning (it is only the second one in Polynesia and part of a handful worldwide), that cools all the resort buildings. Other eco-friendly systems include solar panels, a giant septic system that cleans wastewater without chemicals, a desalination plant and a composting station for all leftover food that is used for compost in their organic gardens. 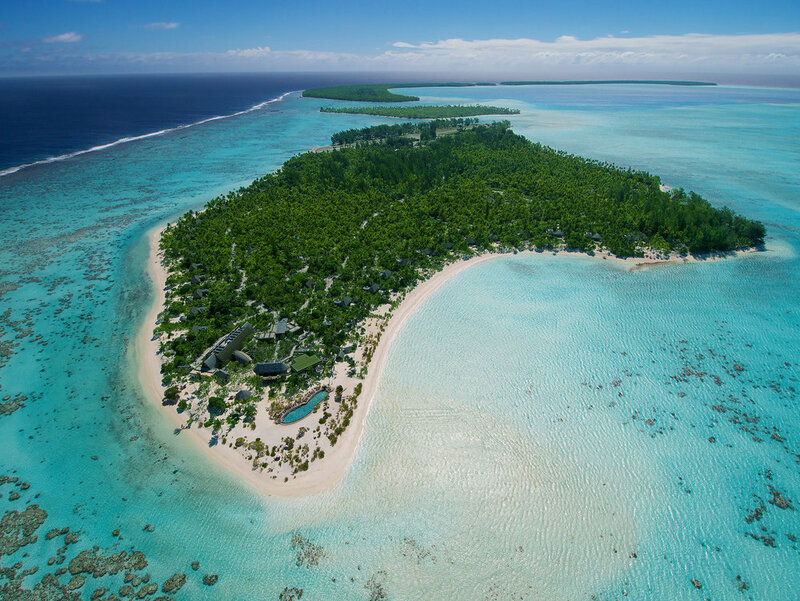 Since its opening The Brando has had many famous guests including Leonardo Dicaprio, Beyonce, Pippa Middleton on her honeymoon and also former President Barack Obama. After President Obama left office he was looking for a hideaway to begin writing his presidential memoir. I can't think of a better place for inspiration than here, can you? The Brando has 35 private villas. Each one is tucked away in coconut and miki miki groves on West Turtle Beach and South Mermaid Bay. You are secluded in your own private paradise. 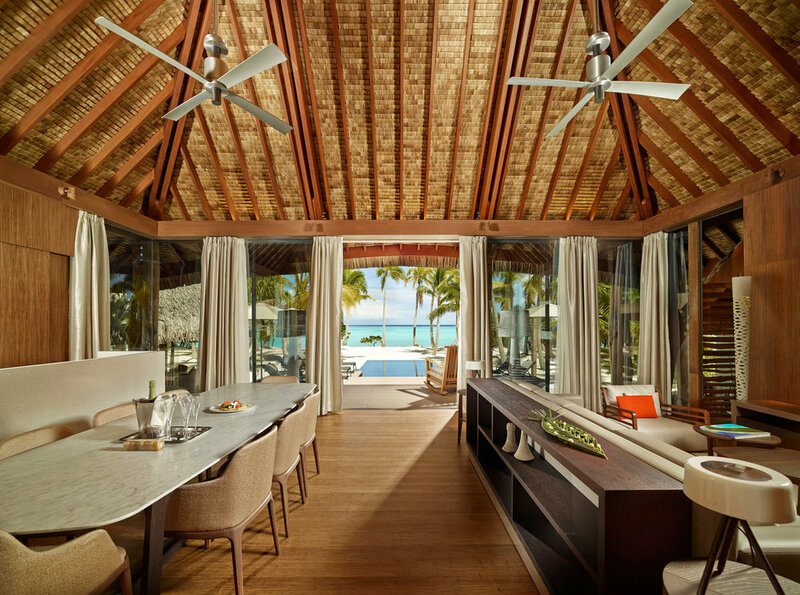 The rich natural architecture and Polynesian flare of each villa are in harmony with nature. They give guests an unforgettable experience in breathtaking surroundings. 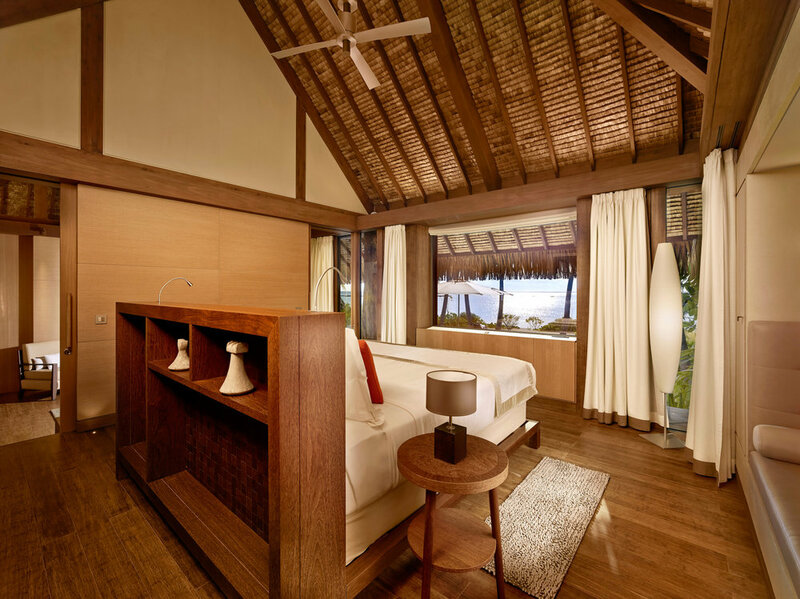 There are 30 one-bedroom villas which can accommodate up to 4 guests (1033 sq.ft. ), 4 two-bedroom villas accommodating up to 4 guests (1808 sq.ft.) and 1 three-bedroom villa with space for 6 guests (2648 sq.ft.). 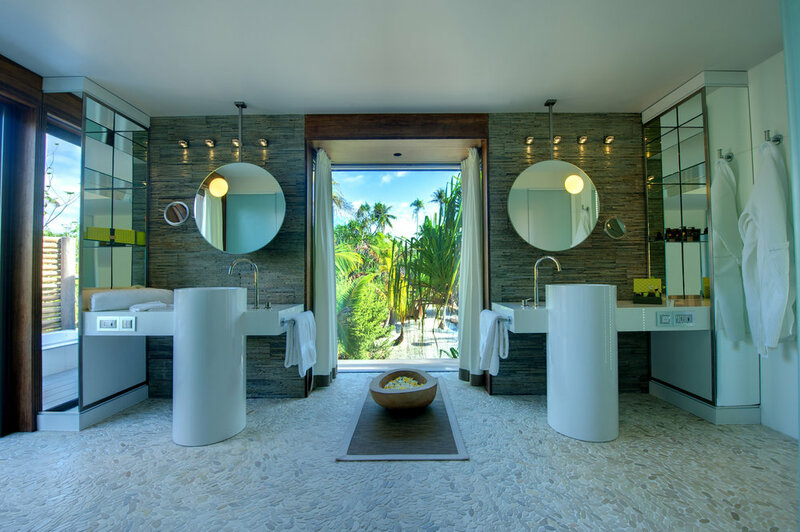 Each villa in addition to its bedroom(s) also has a sitting room with state of the art technology, including a TV, bluetooth and WiFi; adjoining luxurious bathroom with an outdoor tub and an outdoor living area with dining, private beach and your own plunge pool. The one-bedroom villa all-inclusive rate begins at 3,000 Euros/night for two people in low season. If you opt for a breakfast only inclusion the rates are less expensive. Children 12 and under are free (*some restrictions apply). In US dollars the conversion converts to roughly $3700/night or $1850/pp/night. Famed Michelin Chef Guy Martin has designed a gourmet menu for Les Mutines, which is only open for dinner. The Beachcomber Cafe (which is currently being remodeled) serves breakfast, lunch and dinner in a casual beachfront setting. Te Manu Bar offers tree-top seating. Bob's Bar is named after marlon Brando's assistant and serves drinks on the beach Polynesian style. In addition to room service you can have the chef come to your villa to prepare a special meal or a barbeque on the beach. Vegan menu choices are available. 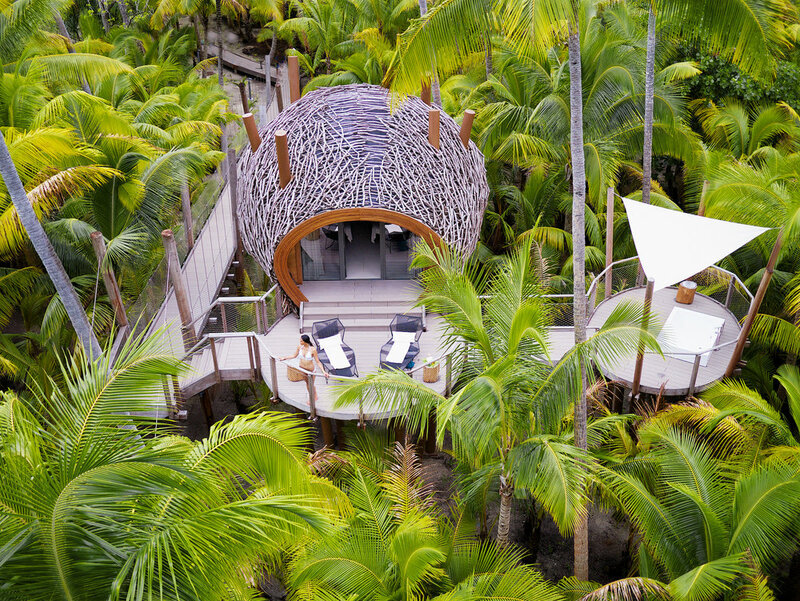 The best perks of The Brando are the all-inclusive activities and spa treatments that you can experience each day. The spa is 21,500 sq. 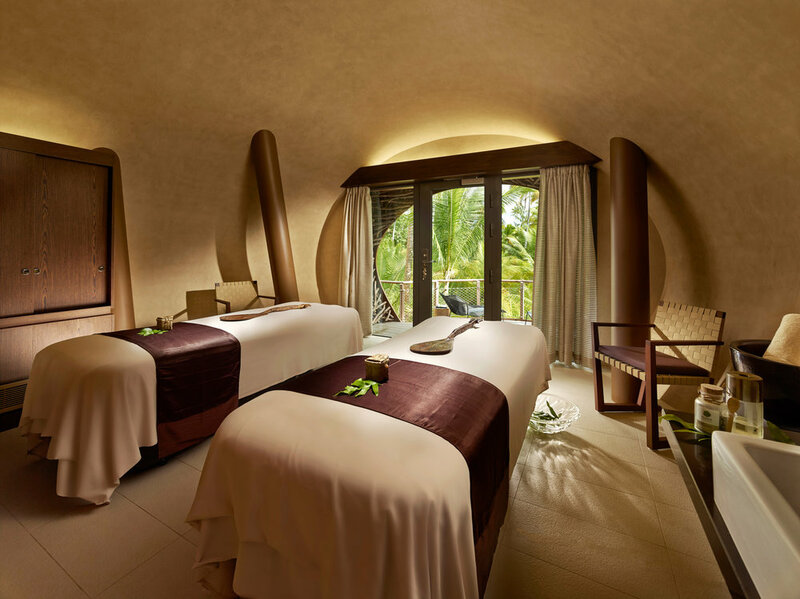 ft. and offers traditional Polynesian treatments with local marine and plant ingredients. They have massage villas, a hamman (Turkish bath), a cooling waterfall, tea lounge and a yoga pavilion. Day excursions with naturalists are definitely one of the unique features of The Brando. There is a 46 page "Leisure Book" highlighting all of the possible tours. Their focus is divided up into nature, adventure, romance, culture and sport. The concierge can arrange your included excursions and any extra ones you may desire (some are at an additional cost). 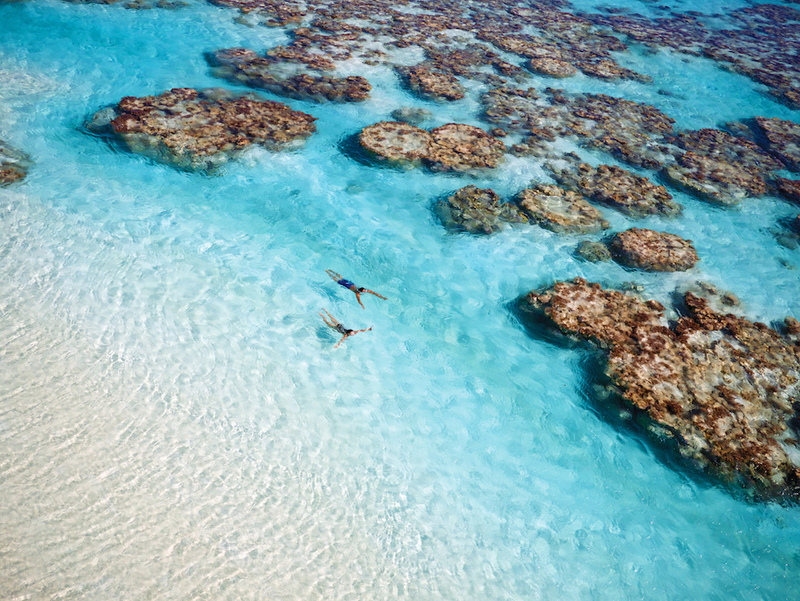 The Tetiaroa Society is a non-profit organization, whose mission "is to ensure island and coastal communities have a future as rich as their past – strengthening their resilience to global change, enhancing their ecosystem services, and preserving their culture." Marlon Brando began the idea. The advisory board has renowned scientists who are dedicated to conserving, restoring and protecting the atoll and to make it a model of sustainability in hopes that it be replicated in other areas of the world. They house an ecostation research facility and a cultural center. To read more about how you can make a difference while traveling click here or for more information on The Tetiaroa Society click here. One of my favorite perks of The Brando is that it is not only a romantic honeymoon getaway but it is also a wonderful family experience, the perfect "familymoon" destination. Lagoon school offers children between the ages 6-12 years old half-day educational programs that will teach them about the local marine and terrestrial life and environment. They can also become Tetiaroa Society ambassadors. The goal is to educate future generations to become eco-citizens. As a former elementary educator who loved teaching science I absolutely LOVE this! Babysitting is also available for an extra charge (reservations required 48 hours in advance). 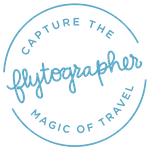 Private flights on Air Tetiaroa fly from Papeete, Tahiti twice a day. The planes are either 14 passenger or 8 passenger and are an extra charge. It is a 20-minute flight. Upon arrival you are greeted with leis made of buds of tiare flowers and whisked away to their villa in electric vehicles. I think they nailed it, what do you think? Surprisingly these villas book up quickly, especially in high season. Let's start designing your perfect luxury getaway today. Click here! * All photos courtesy of The Brando unless otherwise stated. Older PostWhy Book Club Mobay in Jamaica?